Discussion in 'Amps and Cabs' started by csweldon, May 2, 2016. Last week, we got a last minute request to play at a charity event. We were told there was a PA, so I came a bit early to get things ready for my singer. It was our first time playing without our band, so I was a bit nervous. When I asked where to set up, there was no PA... Ruh roh! I asked my wife to run home and grab the Quilter. It was just guitar and vocals, and at this point we didn't have the time to set up our whole PA. It was ready in about a minute and sounded GREAT the whole night, even with the crappy mic I found in the garbage. I also couldn't believe how well that 8 inch speaker filled the room! 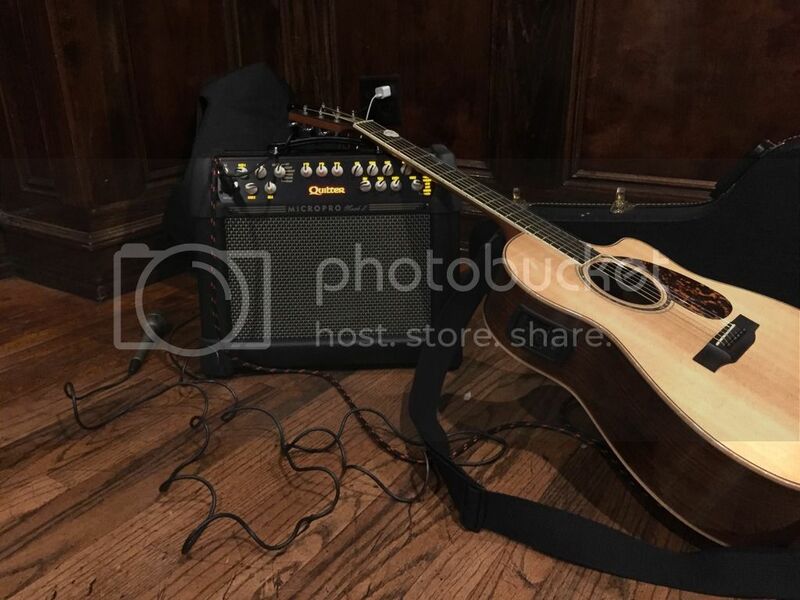 That little amp saved my gig, and performed like a pro! Best gear purchase I've made in a long time! Best purchase. I agree, but about my 101. The 101 makes a great PA when used with a small mixer in the loop. and it does it without sacrifice to the guitar tone. I've plugged an entire band for jams into the thing, works great.